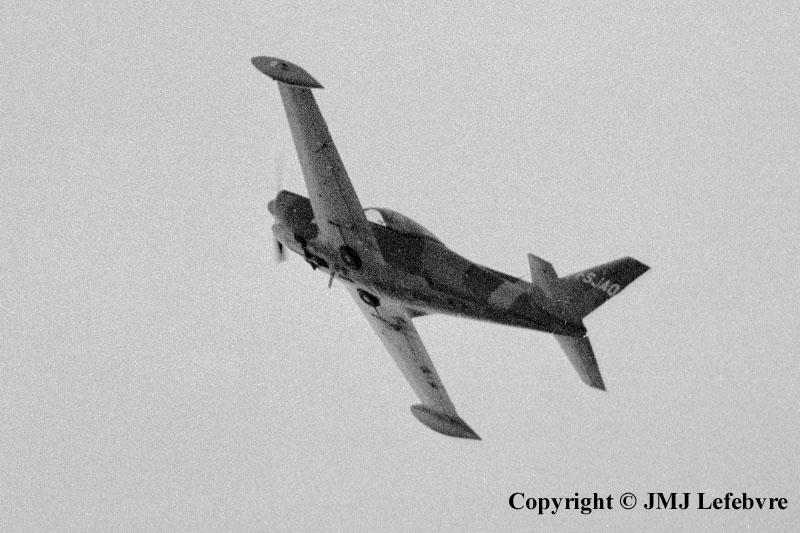 SIAI Marchetti SF-260 M I-SJAQ. No complicated doors to cover the wheels of the SF-260 three-seater designed for training and aerobatics. The M, military version, seen here was used for ab-initio or advanced training and quickly interested people in charge with "poor" air forces and, at the time of the Cannes Exhibit, SIAI Marchetti was just involved during this May 1972 with first flight of the armed version of the type, the Warrior I-SJAV, for light attack and support who mainly attracted a number of potential customers in Africa.